Why should I be kind when the world is so cruel? Who will watch out for me if I’m always putting others first? What will I give my own family if I give everything away to others? It doesn’t make sense. She knows how you feel. We don’t even know her name, but we do know this: she was a single mom whose husband had died, leaving her to raise their son alone. 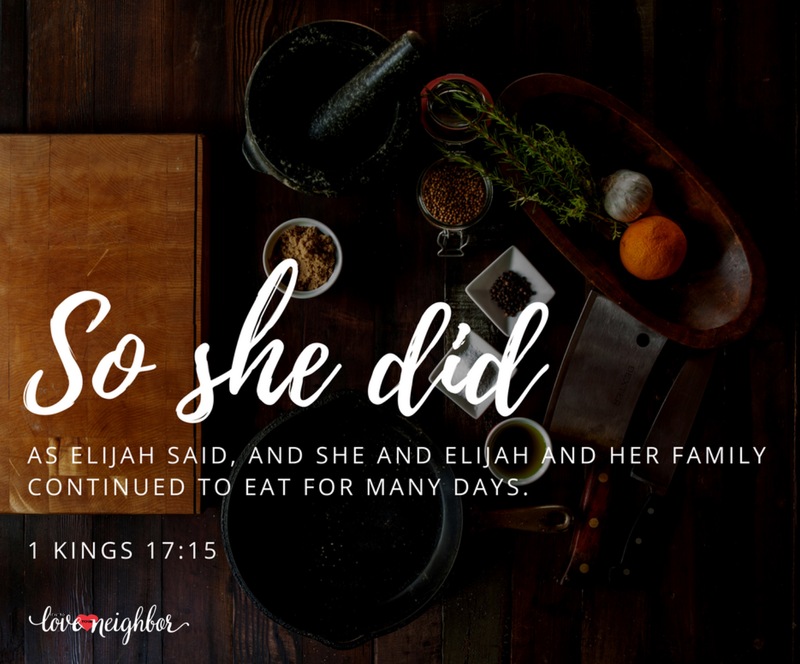 Someone was supposed to be taking care of her, but there was no one left – her entire community was suffering the consequences of bad choices and even worse leadership. War had taken their strength, and a severe drought had stolen their hope. In fact, she was preparing their last meal with the little bit of flour and oil left in her cupboard. I wonder if she planned to make it a celebration, recalling better days during their last time at the table together. I’m sure she was going to give her son every morsel, pretending to eat and poking the fire so he wouldn’t notice. When a strange guy showed up asking for a drink, she had to laugh. But she did it, offering him a cup filled with water more precious than gold. When he asked for bread, he went too far. 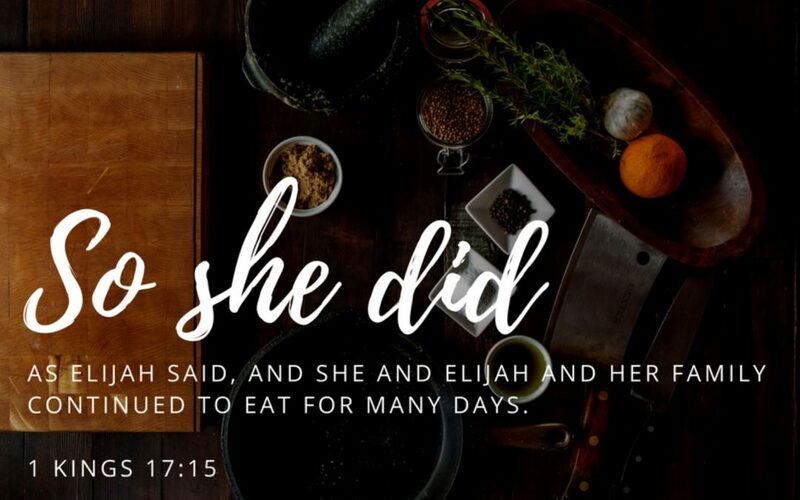 You can read her story in 1 Kings 17, about the drought and the man and the strange promise he made about jars that would never be empty and bellies that would always be full if she would give away the last bit of sustenance she had to her name. She made him bread. She offered kindness and when she should have been the recipient instead. She went the extra mile when she was running on fumes. She watched out for this stranger when no one was watching out for her, and she gave away her family’s last earthly hope. She submitted and surrendered something near and dear and necessary to her very survival to the One who gives us every breath. God honors our obedience in the face of impossible odds. 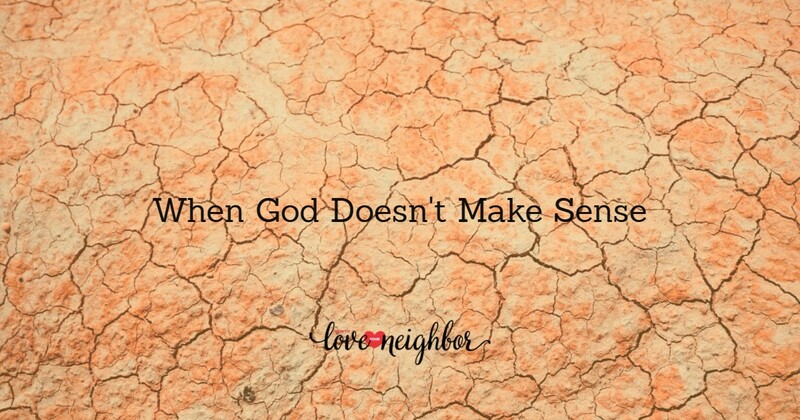 He doesn’t always end the drama (check out verses 17-24 to see what happened after the drought-oil-flour fiasco) but He honors our acts of faith and redeems our ridiculous circumstances. Drought and famine are no match for Living Water and the Bread of Life. It will never make sense, and that’s exactly why it works. Thanks for your encouragement, Tom, I’m glad this blessed you.